Terrence Malick can be a polarizing director: you’re either on board with his lyrical, slow-moving and sparsely plotted works, or you can’t be bothered. I don’t know anyone who only had a ‘meh’ feeling about The Tree Of Life. The same seems to be true for his latest film To The Wonder, which did not quite get the critical reception on the festival circuit that he was probably hoping for. But for those of us who did not go to Venice or Toronto this year, there’s been very little about To The Wonder to go on. Until now. 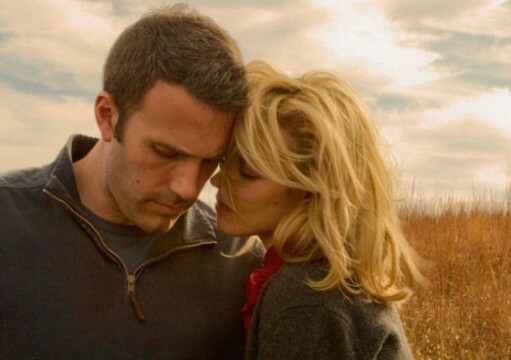 The first UK trailer for To The Wonder has hit and it looks … pretty much like a Terrence Malick film. That means a sweeping score, brief, intense shots of brief, intense emotions, and a voiceover from Javier Bardem (I think) that does not really clarify much but makes it all sound very important. The film revolves around a love triangle between a man (Ben Affleck), his French girlfriend (Olga Kurylenko) and his childhood sweetheart (Rachel McAdams). Javier Bardem is in there too as a priest. Of course, this being a Malick film, it’s not going to be as simple as all that, and the trailer implies a more sweeping tale than such a plot synopsis would suggest. As someone who liked The Tree Of Life, despite its flaws, I have to admit that I’m fairly excited for this one. Malick is very good at depicting raw human emotion without falling into sentimentality, his theology is deep without being preachy, and his films tend to grapple with universal experiences without sacrificing the personal nature of their subjects. Based on the trailer, if you like Malick to begin with, you’ll like To The Wonder. But I’m not certain if this one will win any new converts. To The Wonder comes to the UK on February 22 and the U.S. April 12, 2013. Check out the trailer below and let us know if you’re on board with Malick’s newest work.